Meson:a leading manufacturer of spunlace non woven in china - Suzhou Meson Nonwoven technology Co., Ltd.
Suzhou meson nonwoven technology co.,ltd. is a professional manufacturer of spunlace nonwoven in china.Our production base locates in changshu,60km far from shanghai,occupies 22,000 square meters with the total investment over RMB50,000,000. Our production capacity is over 10,000 metric tons per year.Our spunlace nonwoven fabrics are made of excellent quality fiber blends that contain no additives.They are specially engineered to meet the demands of a range of customers with various cleaning needs.And,all our spunlace fabric and products are made under the strictest production controls,to ensure consistent quality. Our products are great for a wide range of important applications like electronic surface clean,wet wipe production,heavy equipment maintenance,medical material,cosmetic material,household wipe,etc. 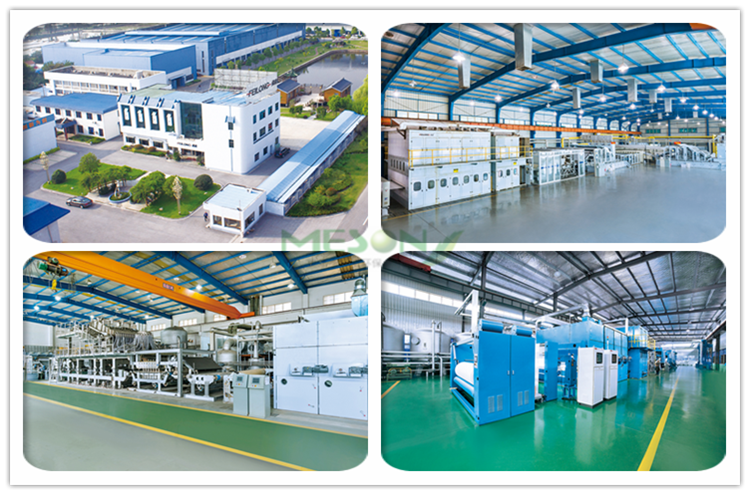 Adhering to the principle"innovative,energy-saving,efficient,environmental-friendly",we will spare no efforts to offer you high quality production,excellent service,competitive prices and prompt delivery.Looking forward to cooperating with you based on mutual benefits.